Pegasus Books is an independent bookseller with three stores located around Oakland and Berkeley. Voted "Best Bookstore" in 2018 by East Bay Express and Oakland Magazine readers, we’ve been an integral part of the Bay Area’s iconic literary landscape since 1969. Since we began regularly hosting events in 2008, creative energies of Pegasus staffers have shaped a unique event program. Clay Banes helped Pegasus Books gain national recognition for our poetry events. Rachel Marcus allowed the program to experiment and expand. Joe Christiano nurtured First Person Singular into its current, award-winning status. Manuala Aronofsky developed Lyrics & Dirges, Jazz Stories, and Happy Hour Stories monthly reading series. Our current events coordinator Marlon Rigel grew the program to feature award-winning graphic novelists and continues to summon outstanding artists and writers to Pegasus. Isabel Allende, Chester Brown, Jeff Chang, Daniel Clowes, Yrsa Daley-Ward, Dave Eggers, Michael DeForge, Lauren Groff, Yaa Gyasi, Lisa Hanawalt, Michael Horse, Jane Hirshfield, Tracy Kidder, Anne Lamott, Congresswoman Barbara Lee, Ottessa Moshfegh, Ijeoma Oluo, Daniel Mallory Ortberg, Anders Nilsen, Robert Pinsky, Mary Roach, Yumi Sakugawa, Sarah Schulman, Julia Serano, Craig Thompson, Adrian Tomine, Virgie Tovar, Julia Wertz, Jim Woodring, and many more. 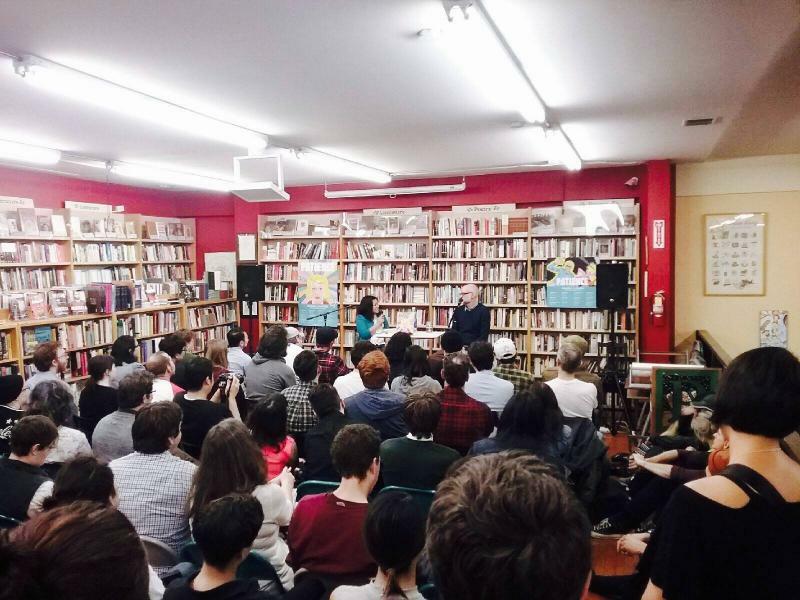 If interested in holding an event at Pegasus Books, or having us sell books at an offsite location, please contact Marlon Rigel at: events@pegasusbookstore.com. On accessibility: We are located three blocks from Downtown Berkeley BART. Our space is wheelchair accessible. Our space is not scent-free. We have LED lights. We do not have a public bathroom during our usual store hours. For events only we have a wheel chair accessible gender neutral bathroom. We don’t provide childcare or ASL interpreters. We provide limited seating (fold-out chairs). If you have any questions, comments, or concerns about accessibility please contact kyliemax by sending an email to shattuck@pegasusbookstore.com with the subject line “attn: kyliemax”. Our full events calendar can be viewed here.